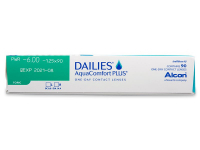 Dailies Aquacomfort Plus Toric are designed to correct astigmatism. They are equipped with a unique triple-lubrication system that keeps the contact lenses hydrated all day to ensure comfortable and sharp vision. 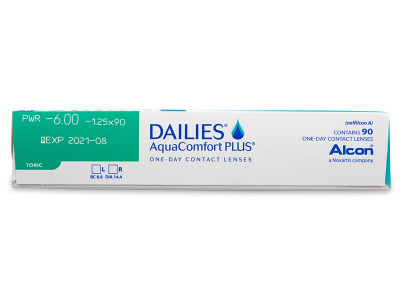 This package contains 90 lenses. Dailies AquaComfort Plus Toric are daily disposable lenses by Alcon designed to correct astigmatism. They provide triple hydration and refreshing comfort throughout the day, while ensuring consistent, clear vision in all conditions. 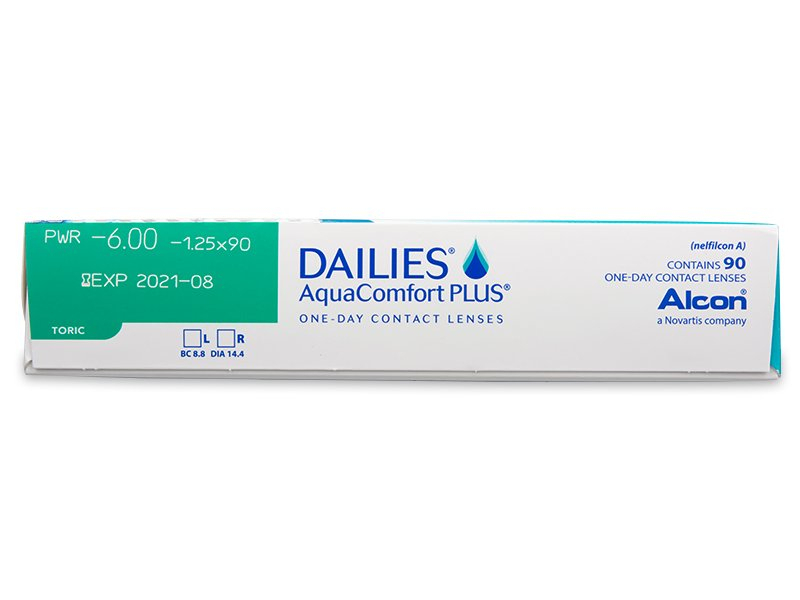 This package contains 90 lenses. Read more about Dailies AquaComfort Plus Toric contact lenses. Impressed with these lenses. They feel really smooth on the eyes. Ordered these online because of the good price. 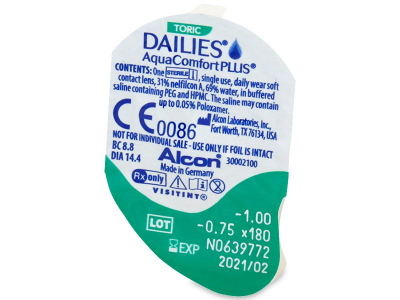 Noticed my eyes aren’t as dry in the office since wearing them. 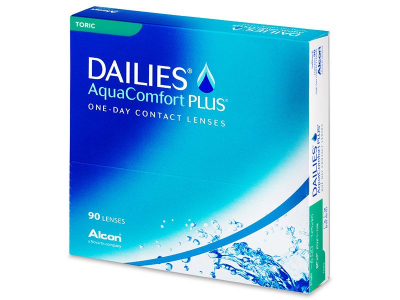 These lenses have the moneyback guarantee?